Fountain Creek Regional Park is a 460-acre linear park situated along Fountain Creek between the cities of Colorado Springs and Fountain. 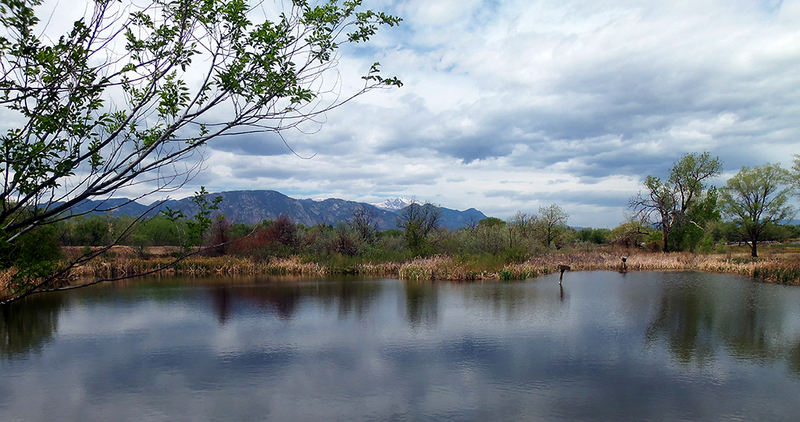 The park includes a creek-side trail, Willow Springs Ponds, Hanson Nature Park and the Fountain Creek Nature Center. The ponds are stocked on a regular basis, and fishing is allowed in Willow Springs Ponds. Downstream of the ponds, the Fountain Creek Nature Center serves as the focal point for learning about Fountain Creek, the watershed, and riparian ecology. 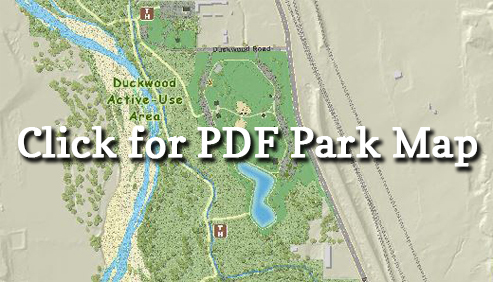 Farther south, the Duckwood active play area consists of a 12-acre site with multi-purpose fields, picnic shelters, and a playground. The El Paso County Park Advisory Board hereby acknowledges he exemplary volunteer service of Randy Fielder and has selected him as the 2018 El Paso County Parks Volunteer of the Year. Mr. Fielder has regularly completed the thinning of dead growth and diseased trees using proper pruning techniques at Willow Springs Ponds. He was instrumental in assisting County Parks staff with the removal of branches and other debris at Willow Springs Ponds after two destructive hail storms in 2018. Mr. Fielder has outstanding initiative and regularly completes volunteer efforts including trash removal, weed management and other tasks at Willow Springs Ponds with minimal oversight. Mr. Fielder has completed over 300 hours of volunteer service at Willow Springs Ponds in 2018, which has made Willow Springs Ponds a safer, healthier, and more aesthetically pleasing landscape for our many park users. Restrooms are located just west of Pavilions 5 and 6 and are open year round. Fountain Creek Regional Park can be reached from Interstate 25, Exit 132A; east on Highway 16 for 1/2 mile; take Security exit to Highway 85 south 1/2 mile to Duckwood Road. Hours: Wednesday – Saturday 9 a.m. to 4 p.m.